ATLANTA, Feb. 17, 2015 – Taking communication and customer service to a new level, Gibson Landscape presents a dynamic new website designed specifically to meet the needs of current as well as future clients. Current clients can access all of their project and account information through one interface. While logged in to their client space, they can keep in touch with projects, create work orders and track the scheduling process. They also can view their account details including billing, payment, enhancement proposals and work order history. Future clients can quickly grasp the quality and scope of Gibson’s work through extensive project photos and descriptions. 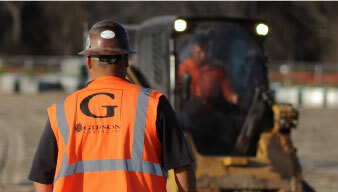 Landscape architects and property managers can weigh the work’s value to owners, clients and other stakeholders while developers and general contractors can put Gibson’s self-performing scope abilities and regional expertise in context. Trends and practices in construction and horticulture as well as featured projects are presented in an easy-to-digest blog format.